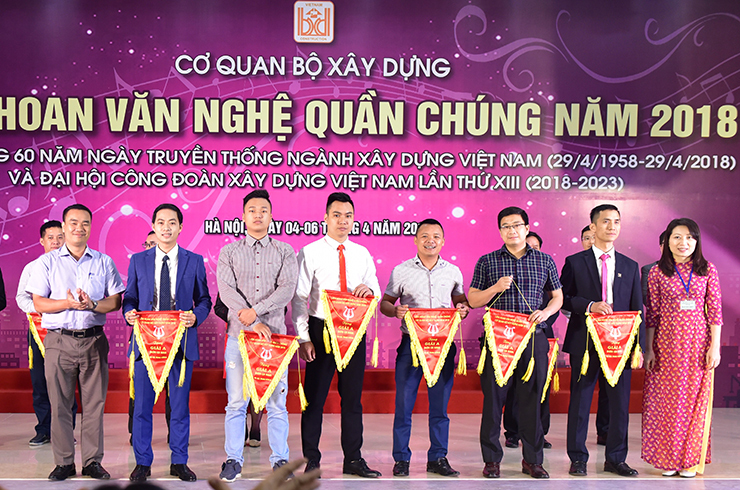 From April 4th – 6th, 2018, in Hanoi, the Trade Union of the Ministry of Construction held the Public Art Festival to anniverse the 60 years of Vietnamese Construction industry (29/4/1958 – 29/4/2018) and the 13th Vietnamese Construction Trade Union Congress (2018 - 2023). 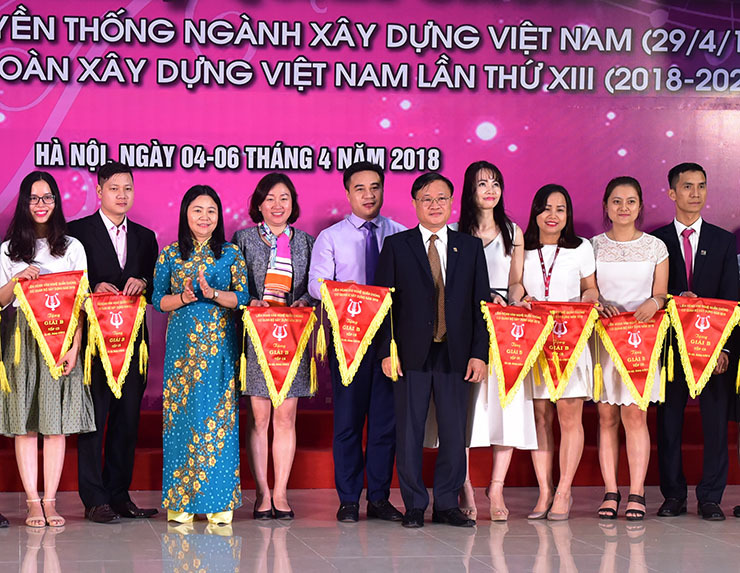 In this festival, CONINCO won the first prize and many other awards, continuing to affirm as a strong movement unit of the Ministry of Construction. Attending the awarding and closing ceremony, there were Mr. 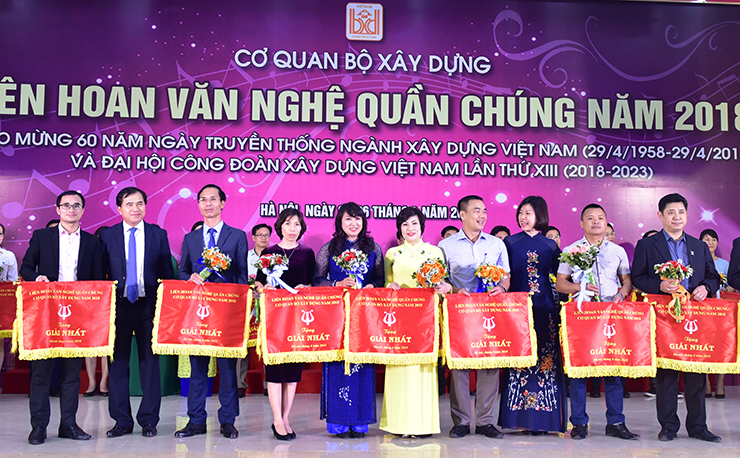 Le Quang Hung - Secretary of Party Committee - Vice Minister of Construction, Ms. Nguyen Thi Thuy Le - President of Vietnam Construction Trade Union, Ms. Diep Thi Thu Huyen - President of Trade Union of Ministry of Construction. Regarding CONINCO, there were representatives of the Executive Committee of Trade Union, Youth Union, the public art team as well as cheering employees. This festival received the participation of over 1,000 non-professional actors and actresses from 31 units with 28 teams of trade unions of units under Ministry of Construction, 109 diversified performances from chorus, trumpet, duet, solo to dance, instrument solo; with the exciting, proud performances full of enthusiasm of youth, love of homeland, ethnicity, especially many songs about the construction industry. In addition to enthusiasm and talent in the main field, CONINCO employees also have a great passion for art and music. 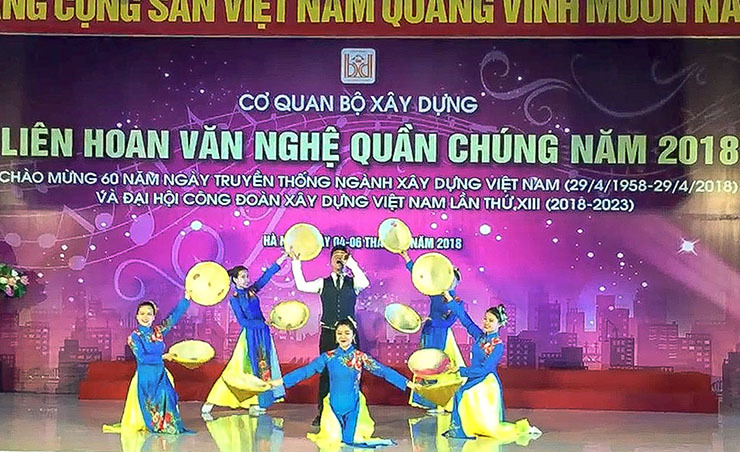 CONINCO’s public art team, with the spirit of comfort, brought 4 special performances to the contest, gave the audience melodious tunes to praise the homeland, the country, to praise the Party, beloved Uncle Ho..., impressed at the festival. 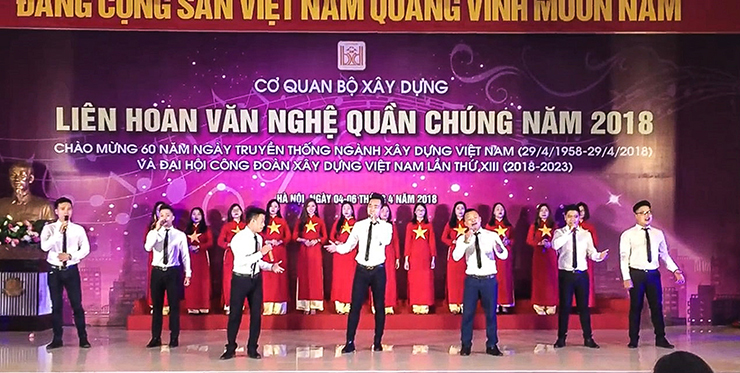 The opening song is "Ho Chi Minh Song", performed by male and female group. 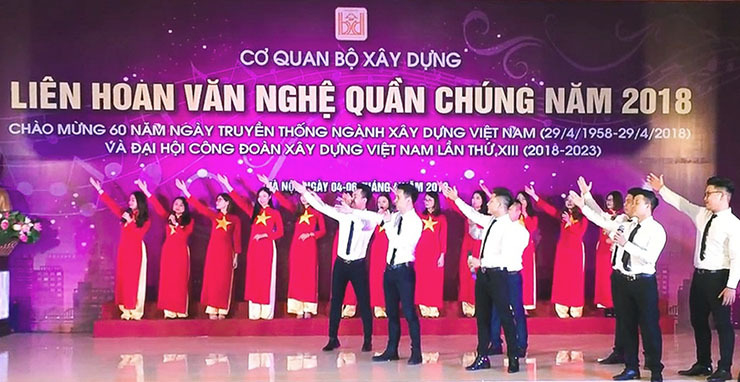 The second song is a song composed by Mr. Tran Khanh "Sunshine to the homeland", performed by Mr. Duy Anh and dance group, followed by the song "My love as sea" was presented through the voice of the female singers. 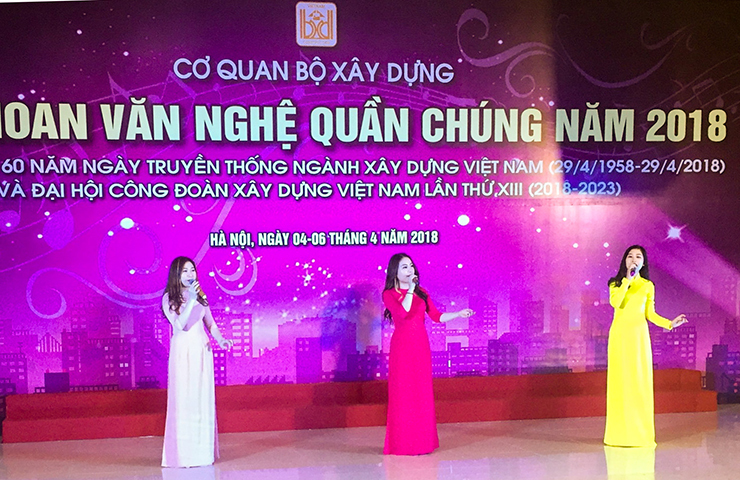 Finally, the song "Vietnam! Open Horizon", performed by all members and dancers, closing the performance of CONINCO's public art team. At the awarding and closing ceremony, CONINCO was honored to be awarded the first prize; Prize A - Male Solo Singer; Prize A - Duet's-Trio's; Prize B - Male Singers; Prize B – Male and Female Singers; continuing to affirm that CONINCO was not only the leading construction consultant but also always active and enthusiastic in the movements of culture and sports of the Ministry of Construction. The festival organized by the Trade Union of the Ministry of Construction successfully took part and brought a happy and joyful atmosphere to everyone, making the cadres and employees have comfortable moments after the hard work hours, at the same time, cultivate the knowledge of art, promote creativity, build up the love of the country, love the industry, strengthen the solidarity, expand the exchange opportunity. Hence it creates a bustling atmosphere for working, builds a healthy cultural environment and raises the cultural and spiritual life of officials and employees of Ministry of Construction. The festival is also an opportunity for officials and trade union members to review the glorious tradition of the construction industry during the 60 years of construction, development and growth, as well as promote the tradition, continue to strive and make more efforts to well perform the political tasks of the construction industry, make a worthwhile contribution to the national renewal, affirm the position of the construction industry in the new period, implement the goal of nation industrialization and modernization.